Home » 2007 » Oper. Yashima Set Rebuild of Evangelion Ver. Oper. Yashima Set Rebuild of Evangelion Ver. Have you had enough EVA yet? Like it or not, it’s another review from Rebuild of Evangelion! 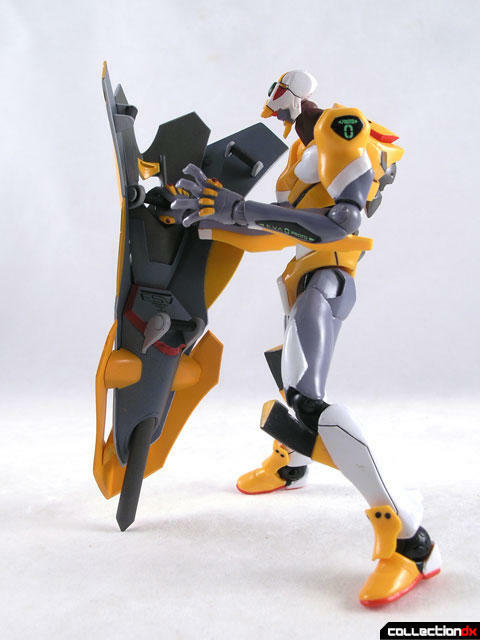 The Revoltech Oper. 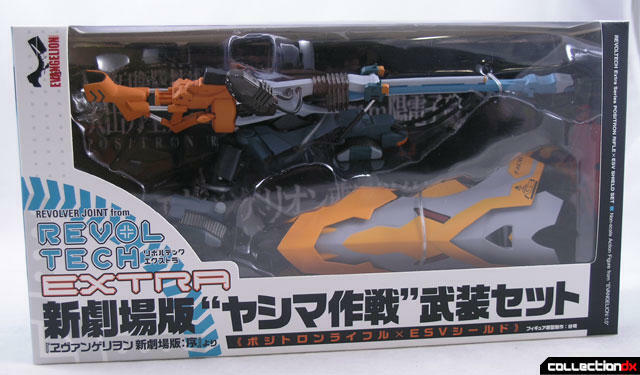 Yashima Set is the first Revoltech “Extra” set. 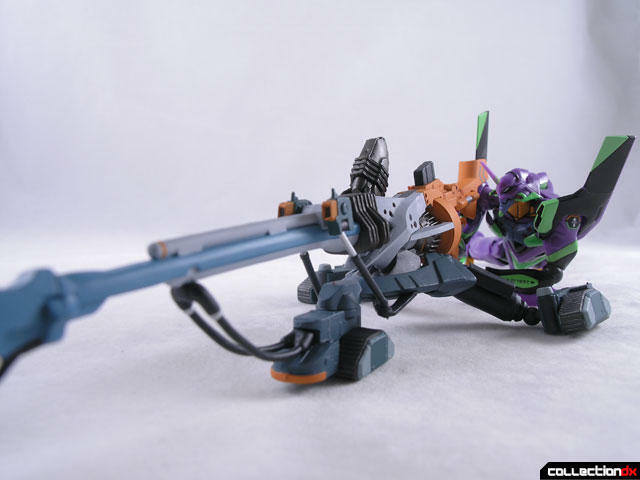 It features two weapons that go with the previously released EVA-00 and EVA-01. THOSE FIGURES ARE NOT INCLUDED IN THIS SET. 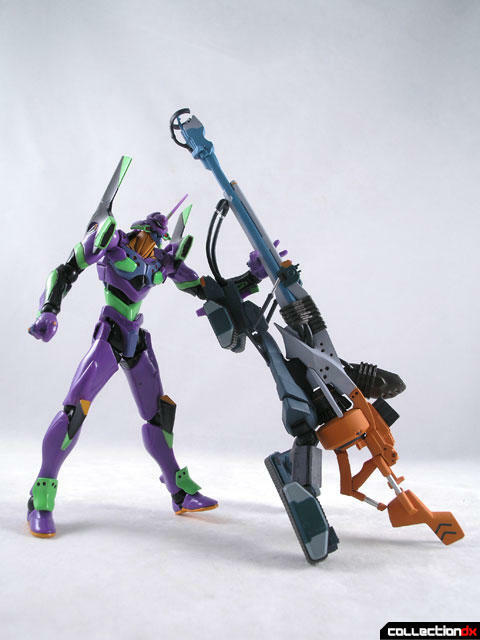 The set consists of two large weapons featured in the Rebuild of Evangelion movie. 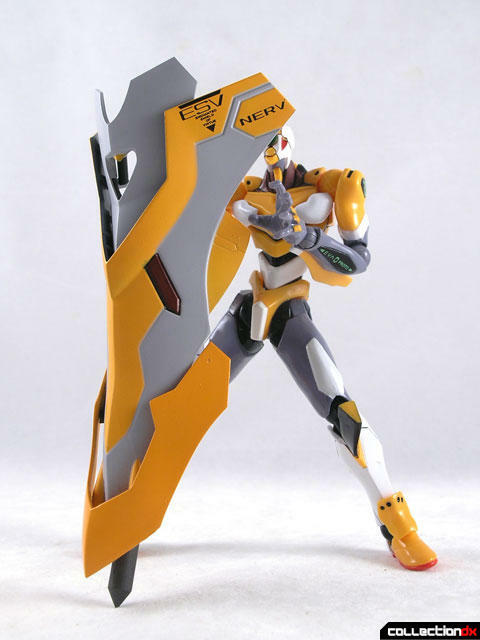 The ESV shield is a large plastic shield with no Revoltech joints, The only feature, if you can call it that, is that one side of the handle slides out to enable you to put it through one of the hands of the EVA-00. 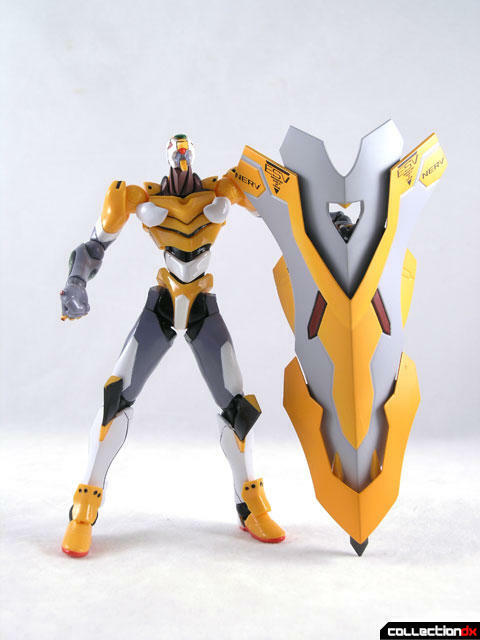 It ends in a sharp point and is kind of heavy for the figure. It is a nice piece though, and looks great with the Unit 00. The Positron Rifle is the gem of the set here. 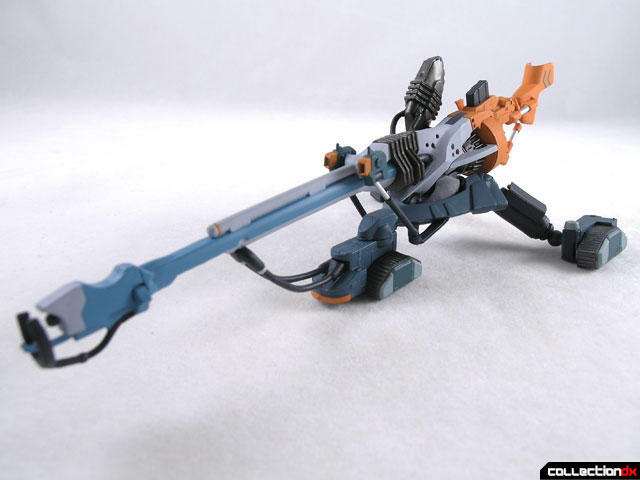 It’s a large rifle mounted on treads that features 4 Revoltech joints. 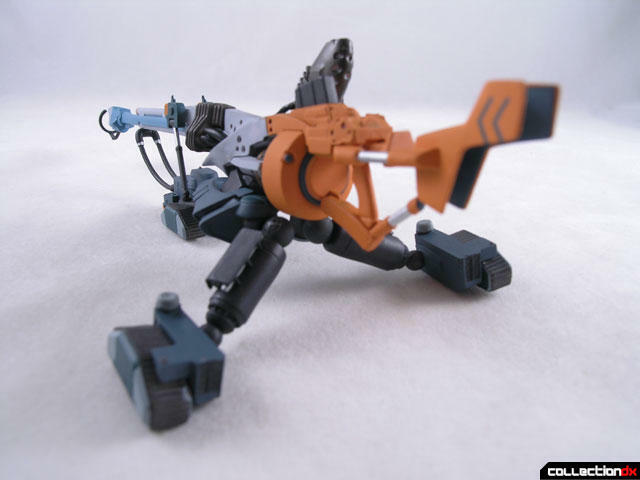 It’s not poseable per-se, but it does allow you to stabilize the cannon a bit. It’s got fantastic detail and is in-scale to the EVA-01. 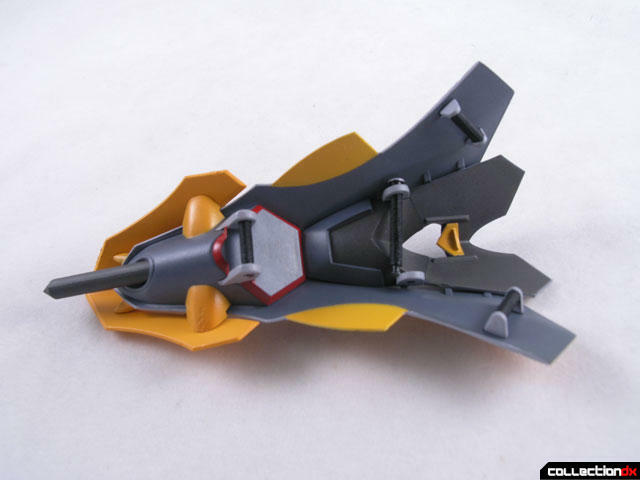 The shoulder brace is contoured to fit the shoulder of Unit-01. The bottom of the handle is on a hinge so you can open it to slide the hand over the grip. 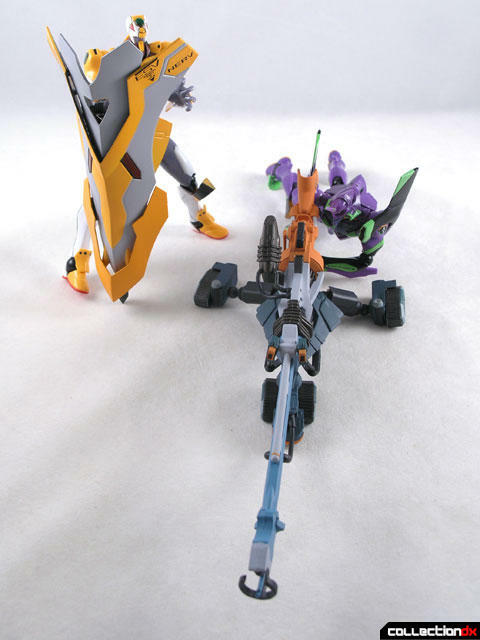 If you have the new movie Revoltech EVA-00 and EVA-01, you owe it to yourself to get this set. It’s available from HobbyLink Japan. 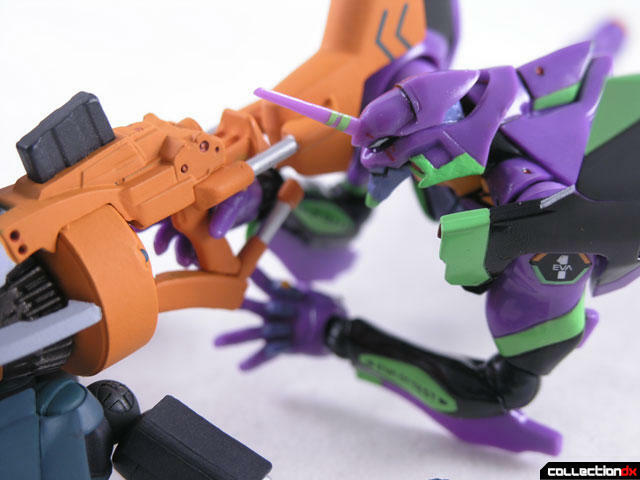 It really adds another layer of uniqueness to the already new and different EVA Revoltech. i've got this set on the way as i type this (for $17 including shipping) :) can't wait to bust it out; i agree the rifle looks amazing and makes the pack worthwhile. by the way, i need a cool way to store / display all the extra weapons i'm collecting with all these revoltech EVAs, like a mini weapon rack :). anyone doing anything like that?